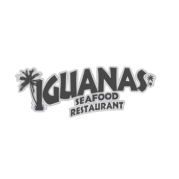 Located in the Pier Villiage on Historic St. Simons Island Georgia, Iguanas Seafood Restaurant offers a wide variety of food for any taste. We are known for our famous fried Wild Georgia Shrimp but also have Steaks, Pasta dishes, Chicken Sandwiches, and probably the best hamburgers you will ever eat. We offer a 100% Satisfaction Guarantee! Give us a try and let our friendly staff make your next meal a memorable experience you will tell your friends about.